After almost a year of having announced the launch of 3D robots, Intel Corporation (NASDAQ:INTC) has finally scheduled the event for Saturday, 20th August, 2014, wherein it will be introducing to the world ‘Jimmy’, a 3D printed build-it-yourself robot. Credit for having built this machine goes to a futurist at Intel Corporation (NASDAQ:INTC) known as Brian David Johnson and according to him the notion of bridging the gap between technology and humanity has finally been accomplished. At 2 feet tall, Jimmy took two weeks to build and it will go on sale on Saturday 10 am New York time, the price tag being $1600. What is it capable of? It has been designed as a walking-talking robot that can be controlled via a computer, laptop or smartphone and is also equipped with Bluetooth and Wi-Fi. Basically it is an extension of a stationery gadget which can be programmed to act as per instructions fed into it. 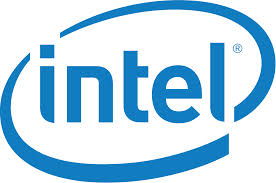 Therefore, Intel Corporation (NASDAQ:INTC) has ensured that it is controlled by an external device. How about its uses? One of the most common uses that Jimmy can be put to is to tend medication to patients who are immobile or are permitted only limited movement. For example, if you have an elderly family member at home who needs to be looked after in your absence, Jimmy can be programmed to provide medication at specific times during the day. However, since its battery life is short, meaning between 30 minutes to one hour, recharging regularly is a must. While the regular Jimmy runs on an Edison processor, its bigger cousin, named Big Jimmy has been fitted with an Intel Core i5 processor and has been designed to display artificial intelligence and behavior. Basic structure for both has been constructed by Intel with help from Trossen Robotics and while limb and head movements have been included, these can be customized as per the choice of buyer. Both creations echo Intel Corporation (NASDAQ:INTC)’s policy of making things that are intelligent and help take humanity to the next level of development. On its part, the company takes pride in having translated what was previously science fiction into a tangible science fact.